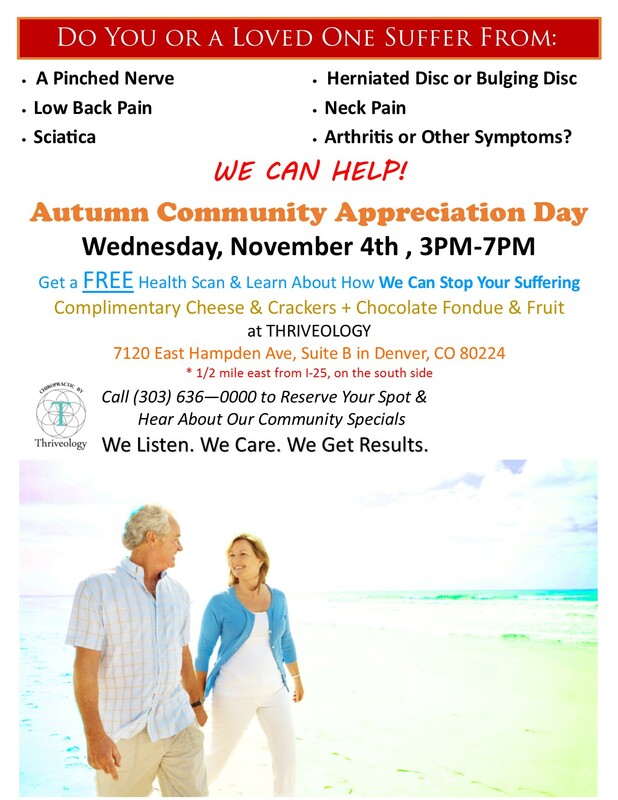 Thriveology is hosting a FREE Community Appreciation event on Wednesday, November 4th at our Denver, Colorado office. Complimentary snacks will be served while you meet with the Thriveology Doctors and learn about the amazing success we’ve had with common conditions like back pain, neck pain, sciatica, arthritis, pinched nerves, herniated/bulging discs, scoliosis, and more. Call our office at (303)636-0000 to reserve your spot, and ask about or community specials. Thriveology is located in SE Denver, 1/2 mile east from I-25 on the southside.